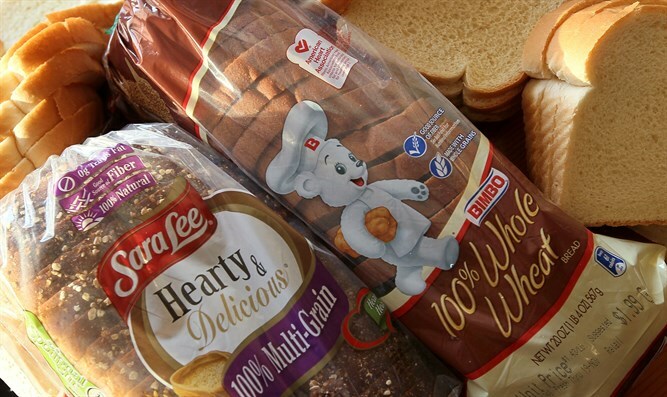 Producer of Sara Lee, Arnold, Stroehmann, Freihofer's and other brands drops kosher certification on nearly all of its products. Bimbo Bakeries USA confirmed to JTA that it will be removing the certification. The company produces brands including Arnold, Sara Lee, Stroehmann, Freihofer's and others. Two of its major brands, Entenmann's and Thomas, will remain certified kosher. So, kosher eaters, your crumb doughnuts and English muffins are still safe. A couple of rye breads also will retain their certifications. "Removing the kosher certification from some of our products was strictly a business-process decision to enable more efficient operations, and it was one we did not make lightly," Bimbo said in a statement. "Thomas’ and Entenmann’s products as well as Arnold’s and Levy’s Rye Breads will remain kosher-certified. It is important to note that we have heard our consumers’ concerns and are working with kosher certification organizations and discussing alternative solutions." The decision will make it much harder for those outside major Jewish population centers to buy kosher bread, say executives at the Orthodox Union and Kof-K, the kosher agencies that certify the vast majority of Bimbo's kosher products in the U.S. Rabbi Ari Senter, Kof-K's kosher administrator, said the agency has received hundreds of concerned calls since the decision was first reported earlier this month. "We've been hearing from a lot of consumers that they're concerned about this," said Rabbi Menachem Genack, the rabbinic administrator of the O.U. 's kosher division, the largest in the country. "If you live throughout the United States, it's not always so easy to get kosher bread. In terms of kosher bread, Bimbo plays a critical role." Genack explained that the decision stems from a mix of corporate efficiency and obscure kosher laws: Bimbo wants the flexibility to produce its breads on the same factory lines as breads that contain dairy products. Because traditional Jewish law says meat and dairy products cannot be consumed at the same meal, breads for the kosher market must be strictly nondairy unless they appear and are marketed as obviously dairy -- like cheese bread, says Senter. "Their primary concern is one of flexibility within their plants, that they can produce it on other lines that are not necessarily designated for kosher," Genack said. Bimbo Bakeries USA is the U.S. division of Grupo Bimbo, the Mexican company that is the world's largest bakery. The company, whose name is pronounced "Beem-bo" and is derived from the Italian word "bambino," capped an aggressive move into the U.S. market with its 2011 acquisition of the Sara Lee Corp.